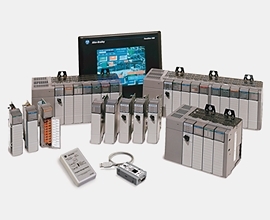 The Pico™ family of programmable logic controllers offers a practical solution that is easy on your budget. The standard Pico controllers are small, simple and flexible. They fit a wide variety of applications. 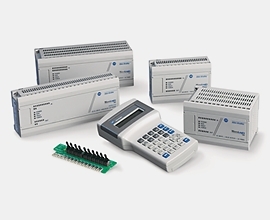 The PicoGFX™ controllers offer graphical, multi-function displays and options for inter-connectivity. 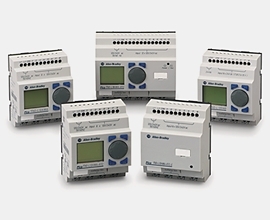 These controllers lead the Pico controller family in flexibility and capability. Bulletin 1761 MicroLogix 1000 Controllers are the most compact of the MicroLogix family. 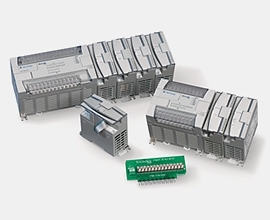 This controller fits a wide variety of applications up to 32 I/O points, while using a fraction of the space of a full-size controller.It contains embedded analog I/O, providing compact and cost-effective analog performance. Bulletin 1762 MicroLogix 1200 Controllers are small enough to fit in tight spaces and powerful enough to accommodate a broad range of applications. Our controller is available in 24-point and 40-point versions. 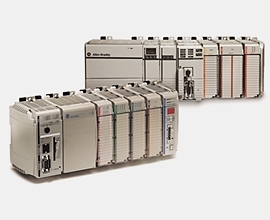 Our CompactLogix and Compact GuardLogix controllers use a common control engine with a common development environment to provide mid-range application control in an easy-to-use environment. 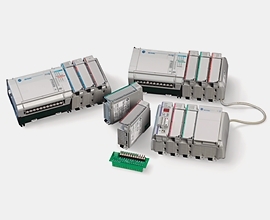 Tight integration between the programming software, controller and I/O modules reduces development time and cost at commissioning and during normal operation.